Waking up early is something I do by choice every single day. No one tells me to, but still, I make a point of rising at the crack of dawn (or before!). What kind of crazy person does such a thing?! When I get up in the morning, I’m not worn down yet from a busy day. I’m motivated and excited about completing the tasks I know I need to in order to be successful. If you’ve been trying to find the time to squeeze in a thirty-minute walk, wake up thirty minutes earlier and get that walk done before anything else. 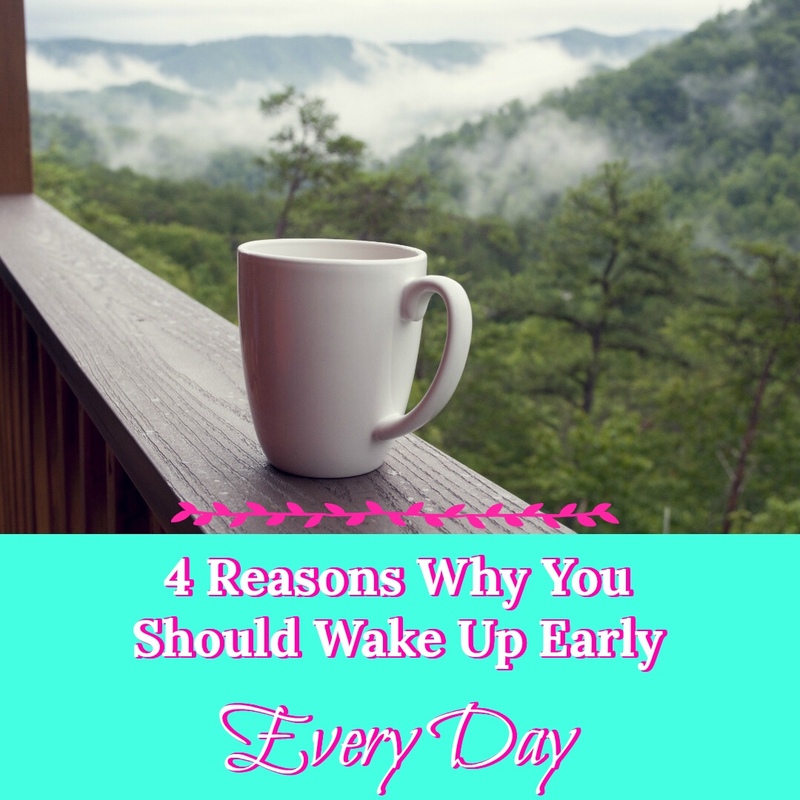 Waking early allows for an opportunity to review daily tasks and top priorities. This is a chance to plan out your day and make a game-plan for tackling the most important items first. Extra time in the morning creates time to put together a healthy breakfast. I’ve found that if my day starts off on the right foot, making healthy choices the rest of the day becomes much easier. Rising at a time that I don’t have to immediately jump into action and barely make it out the door in time means that I have a chance to slowly wake up in the morning. I have enough time at home before leaving for work that by the time I am heading to work, I am wide awake, energetic and ready for whatever the day may throw my way. Early rising is a habit I take great pride in. There are days that it may not be easy, and there are days that I sleep a little later than usual. But, I always make sure I have the time to take care of me in the morning. My morning routine is my way of starting each day with a feeling of peace. I did the chaotic morning rush for many years and I feel so much more centered now that I allow myself the time to get the important stuff done. Try it out! Right now, grab your cell phone and set an alarm for tomorrow morning for 5 or 10 or 30 minutes earlier than usual. Tell me in the comments how early you’ll be getting up and what you will do with your extra time. Thanks for the Link-Up, Paula!